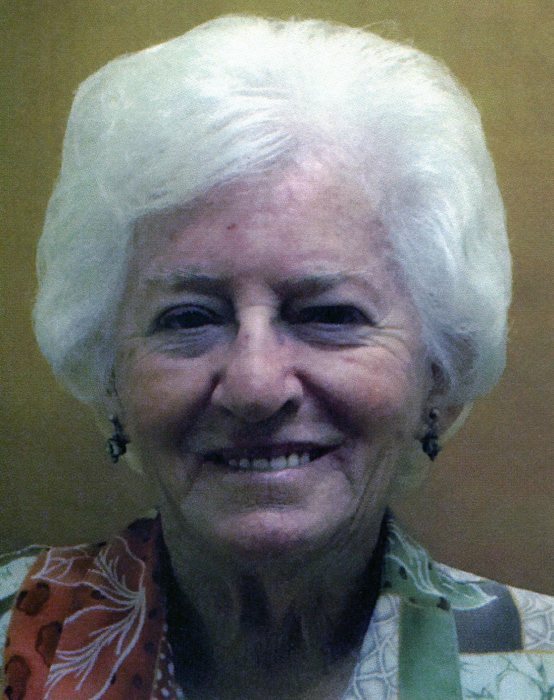 (Frankie) Estelle McMicken passed away on Saturday evening, April 6, 2019, in Baytown, Texas, at the age of 90. She was born on September 27, 1928, in Tyler, Texas, to Archie Carlton Brown and Millie Lorene Brown. Following the death of her mother, Estelle was raised by her aunt Frankie Elizabeth McKay and uncle Shelby McKay on a farm in Noonday, Texas. In 1950, Estelle moved to Pelly and began working at Leggett’s Drug Store and attending Central Baptist Church, where she met and married her husband of 52 years, Clenton John McMicken. Estelle served in the Central Baptist nursery for over fifty years, and she and Clenton often visited shut-ins and those in the hospital. They almost always brought food with them, and Estelle became well known for her German Chocolate Pie. Estelle loved to go flounder fishing at Port Bolivar and was a champion bowler. She also enjoyed sewing, gardening, spending time with her 5 grandchildren, and cooking and baking for her family and friends. She was preceded in death by her parents; her aunt Frankie and uncle Shelby; her sister, Gladys Stremmel; her brother, Eugene Brown; and her husband, Clenton John McMicken. Estelle is survived by her son and daughter-in-law, Bryan and Vickie McMicken (Beach City, TX); her daughter, Marlene McMicken Alderman (Dallas, TX); her grandchildren, Lauren Sands and her husband Jim Sands (Houston, TX), Amanda McMicken (Berlin, Germany), Leila Alderman and her husband Daniel Aguilar (Durham, NC), Elisa Alderman (Denton, TX), and John Alderman (Dallas, TX); her sisters-in-law, Joan McMicken (Katy, TX) and Marcille McMicken (Amarillo, TX); and many nieces and nephews. The family would like to send special thanks to the staff at Swan Manor, Faith Community Hospice, and Ashley Polumbo Colon of Visiting Angels for all of their care and support. Their excellent care of Estelle and their friendship over the years is deeply appreciated. Services will be held at noon on Saturday, April 13 at Crespo & Jirrels Funeral Home, with visitation beginning at 10 am. Afterward, a graveside service will take place at Memory Gardens.